Here's my card before being lit up by Chibi Lights. card stock and adhered to the sky. Die-namics. Two icebergs were cut and details were added with a Copic marker. where the recipient will press the battery to activate the Chibi lights. the tape to run to and from the battery. 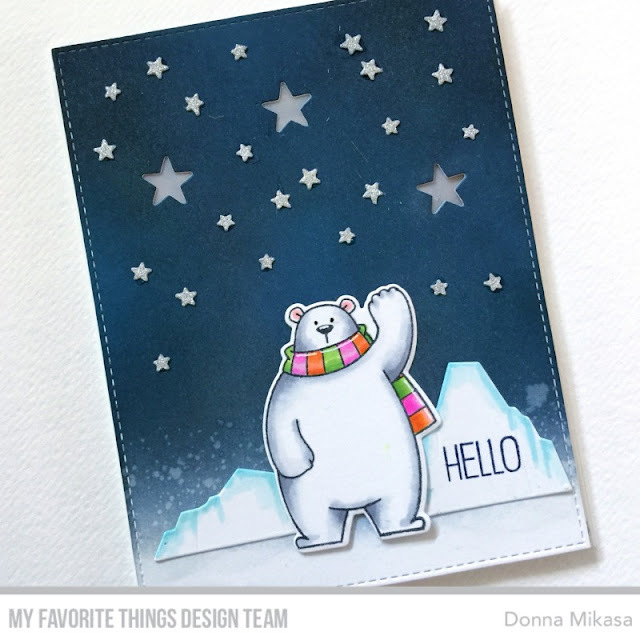 to the card base, the stars lit up when the iceberg was pressed. Success! 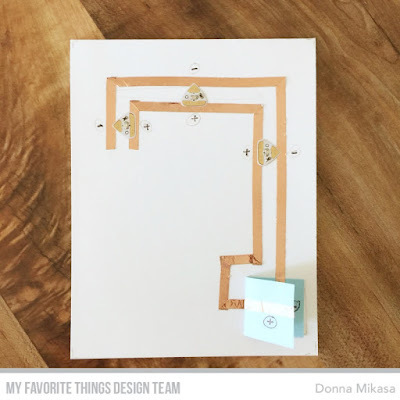 a simple circuit to more complex ones. to win even more prizes! 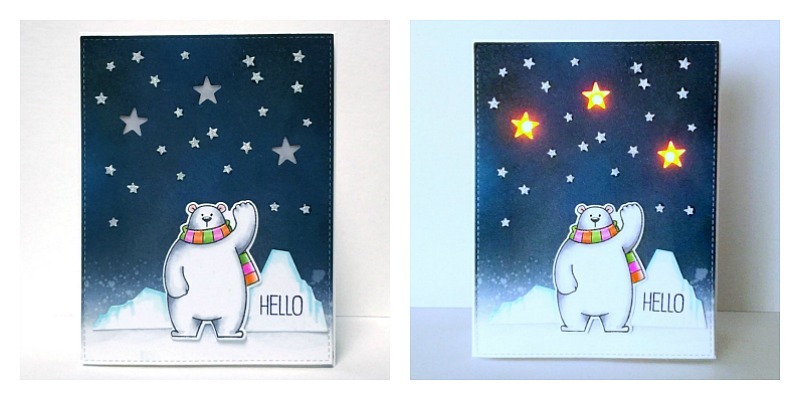 Cute polar bear scene with the light up sky. very cute card. Love the lights! 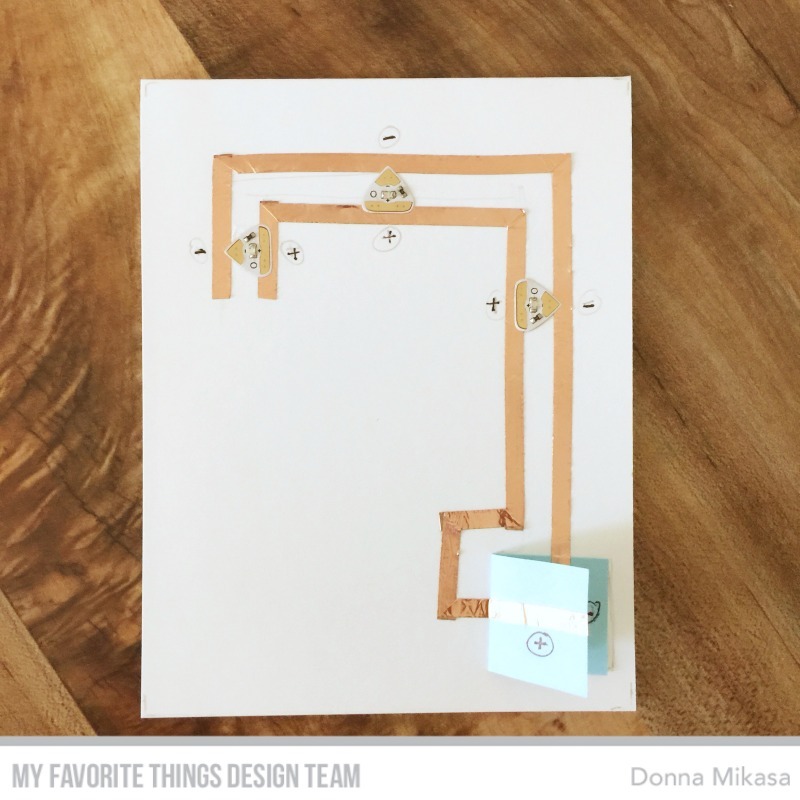 Thanks for showing your circuitry Donna. Makes more sense of this process. Love your starry sky. Nicely done. Awww! So cute and love that the sky lights up, too! Super cute - love the polar bear. SO awesome! 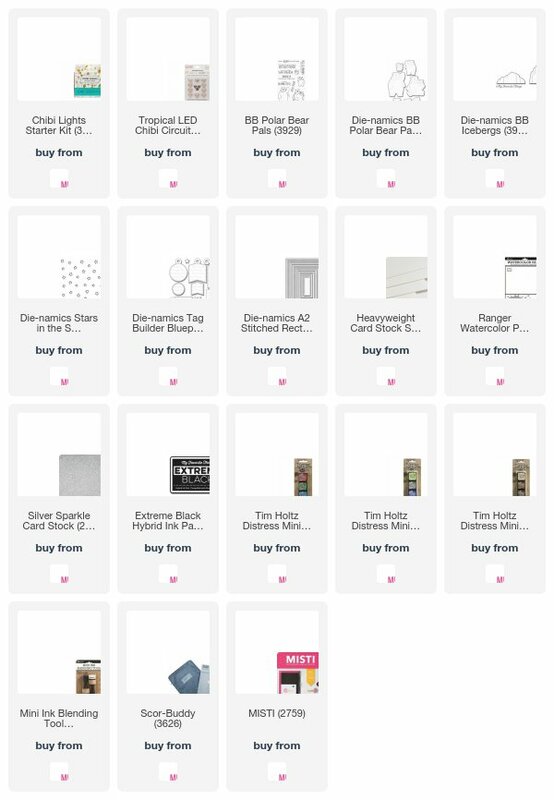 I might have to get out my chibitronics kit and make something now. I'm totally inspired! You've done an amazing job with your Chibi lights, Donna! Such a fun and fabulous card!!! Donna!! I love this!!! Not only does your night sky look amazing with the twinkling stars, but I also love that your design looks fabulous even before the lights are turned on! You really integrated your vellum stars well with the embossed stars. Super cute...you totally rocked the chibitronics! love your color combos! what copics did you use? Hi Robyn! 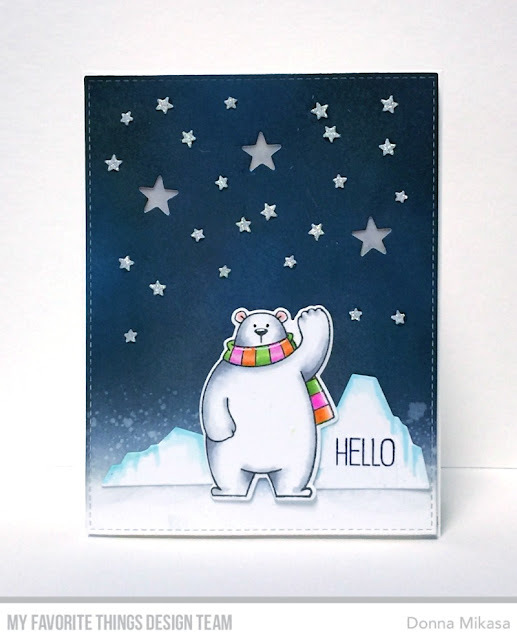 For the polar bear I used the cool grays (C00 thru C3) and for his scarf I used YG03, RV13, and YR04, doubling up on each color for the different shades. The icebergs were BG11. Hope that helps! 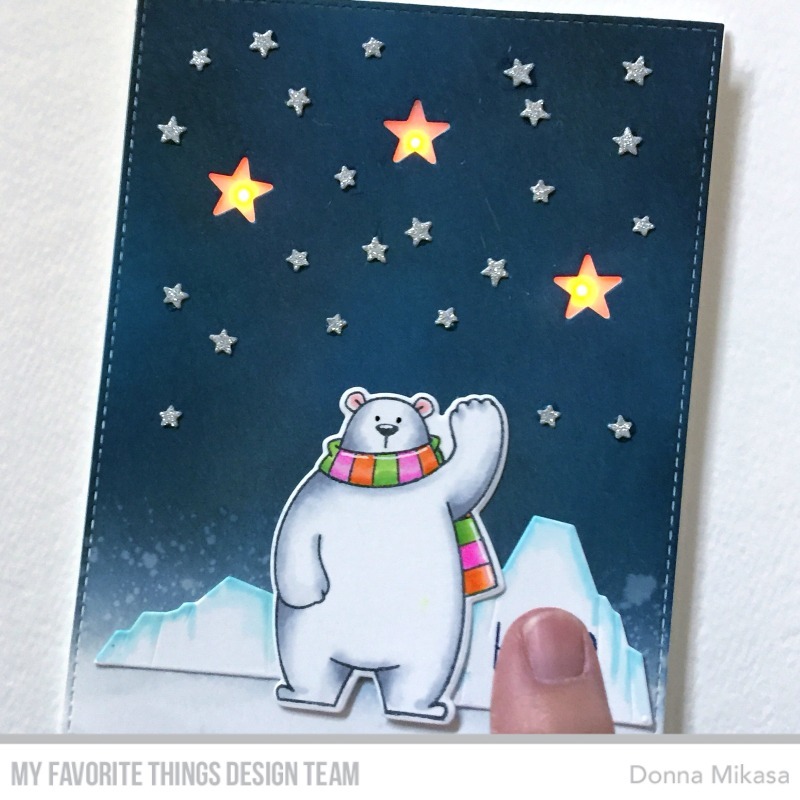 Oh Donna, this card is just too cool!